Frailty tends to be considered as a major risk for adverse outcomes in older persons, but some important aspects remain matter of debate. The purpose of this paper is to present expert’s positions on the main aspects of the frailty syndrome in the older persons. Workshop organized by International Association of Gerontology and Geriatrics (IAGG), World Health Organization (WHO) and Société Française de Gériatrie et de Gérontologie (SFGG). Frailty is widely recognized as an important risk factor for adverse health outcomes in older persons. This can be of particular value in evaluating non-disabled older persons with chronic diseases but today no operational definition has been established. 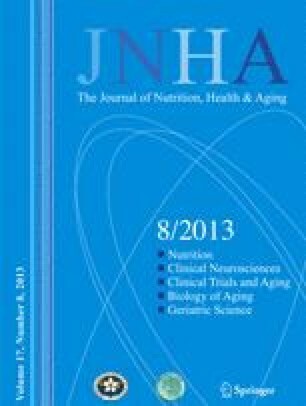 Nutritional status, mobility, activity, strength, endurance, cognition, and mood have been proposed as markers of frailty. Another approach calculates a multidimensional score ranging from “very fit” to “severely frail,” but it is difficult to apply into the medical practice. Frailty appears to be secondary to multiple conditions using multiple pathways leading to a vulnerability to a stressor. Biological (inflammation, loss of hormones), clinical (sarcopenia, osteoporosis etc. ), as well as social factors (isolation, financial situation) are involved in the vulnerability process. In clinical practice, detection of frailty is of major interest in oncology because of the high prevalence of cancer in older persons and the bad tolerance of the drug therapies. Presence of frailty should also be taken into account in the definition of the cardiovascular risks in the older population. The experts of the workshop have listed the points reached an agreement and those must to be a priority for improving understanding and use of frailty syndrome in practice. Frailty in older adults is a syndrome corresponding to a vulnerability to a stressor. Diagnostic tools have been developed but none can integrate at the same time the large spectrum of factors and the simplicity asked by the clinical practice. An agreement with an international common definition is necessary to develop screening and to reduce the morbidity in older persons.